LL Shihoya Arai School is now in the spring recess during this and next week. But, as Yoshy is doubling the principal and the custodian and it’s the changing years, I’m fighting against piles of work as well as R, who is also doing on business at schools. Yoshy is in some odd moments of leisure in my hectic time. 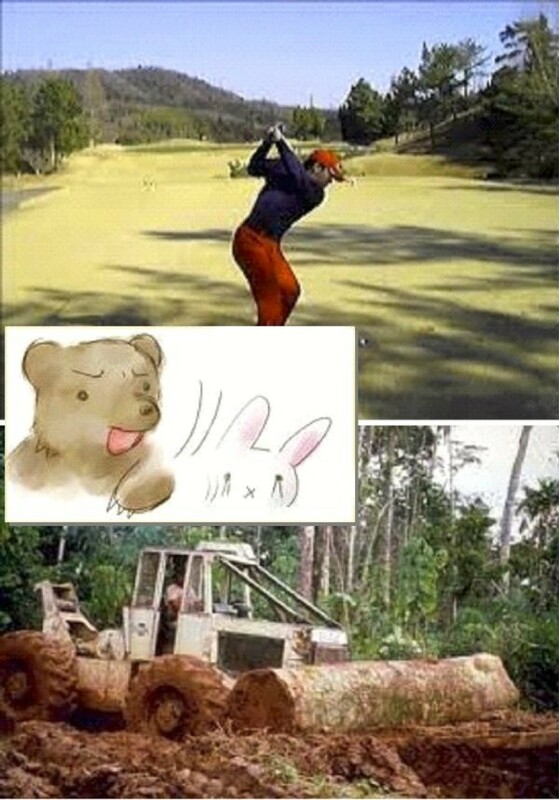 To cheer myself up, let me introduce the first picture which might make the aged recall their old good days. 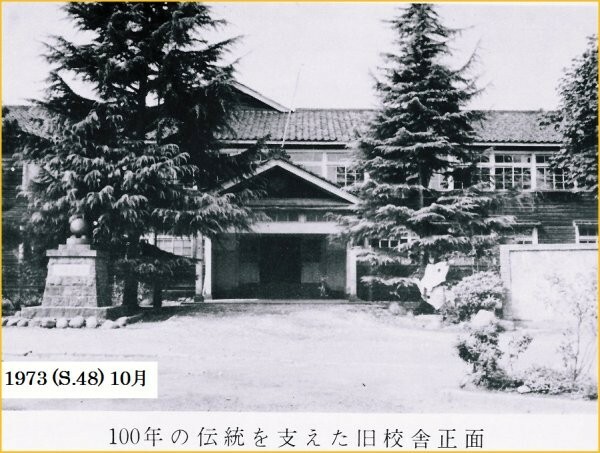 The first picture tells “The Entrance for Staff of The ex-Arai Elementary School” taken in October, 1973, that was the year of its 100th anniversary. It takes only 1 minute’s walk from LL Shihoya Arai School. It once stood at the next site, the east of present Kin-ken Center. You know, since LL Shihoya Arai School is in the site of Yoshy’s residence; I used to become about to be late for school, because they were very near at hand. 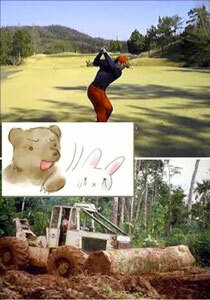 You can find “the stone-monument of winning the best health in Japan” on the left of the first picture. 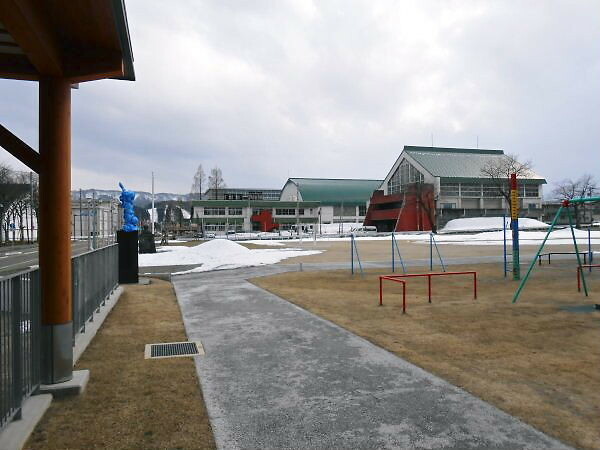 The present play-ground of Arai Elementary School can be seen from the 2nd one taken on Thursday, March 21st. 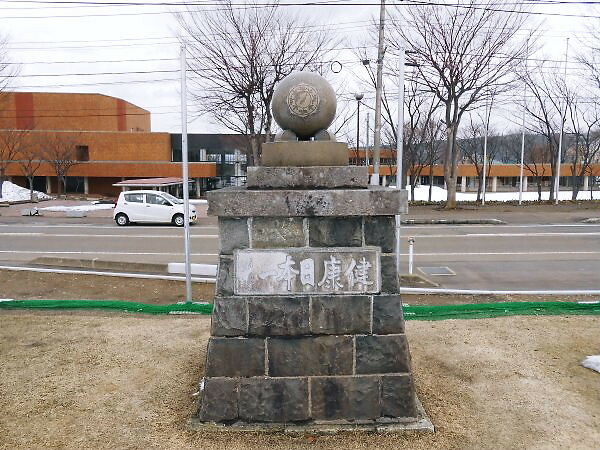 The brown-colored background of the stone-monument is Myoko Cultural Hall. LL Shihoya Arai School, not seeing, stands behind it. 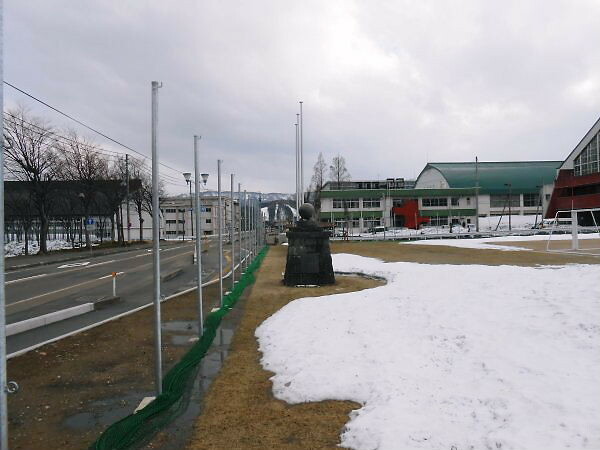 The third picture shows Arai High School on the left edge; on the right side, from the front, Gymnasium for Children, Community Center, Citizen’s Gymnasium, Citizen's Swimming House and New Citizen’s Gymnasium that’s going to be used. That’s enough and enough! To build new facilities for keeping and improving citizen’s physical health; well, how do you think of our health of the condition of mentality?